Mount Fuji has been immortalised as one of the national symbols of Japan, decorated in countless pieces of artwork and traditional tales. 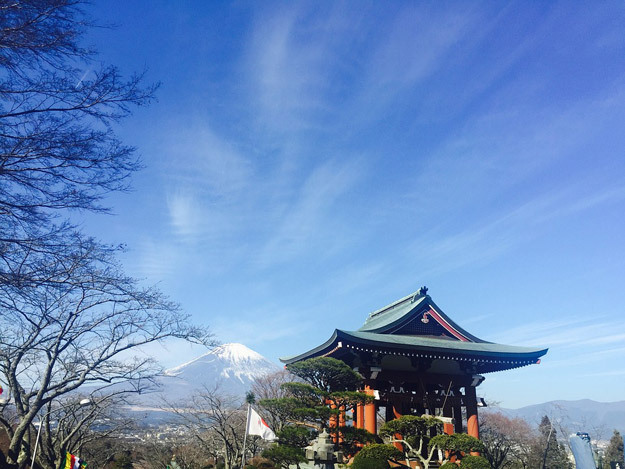 Referred to as Fuji-san by the Japanese, it is Japan’s highest mountain. Its snow-capped summit and near perfectly symmetrical peak is famous the world over, making it one of the most recognisable volcanoes on Earth. To celebrate International Mountain Day on the 11th December, we at Wendy Wu have created this definitive guide to Japan’s highest and most prominent mountain. Fuji-san is steeped in religious significance and is classed as a religious centre, with Shinto goddess Konohana Sakuya Hime revered at shrines across the base and the outer rim of the crater. 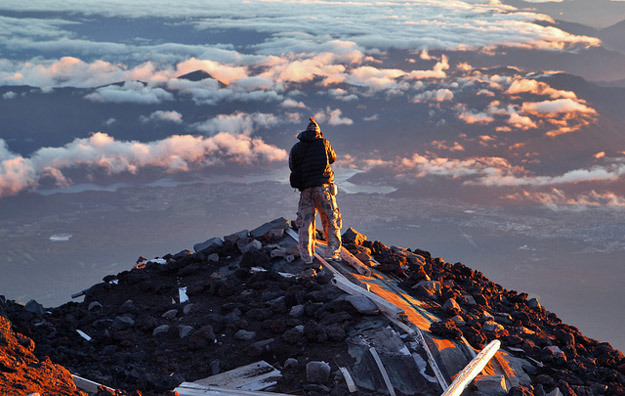 In June 22 2013, Mount Fuji was added to the World Heritage List as a Cultural Site. Buddhists call the summit “zenjo”, which is a Buddhist term used to describe a perfect meditative state. Mount Fuji’s first eruption happened around 600,000 years ago, and it has been an active volcano ever since. In 864, the Fuji-san’s eruption lasted for 10 days, with the lava filling a large lake nearby and also covering the ground at Aokigahara, Japan’s Demon Forest. The ground is thick with volcanic rock and soil, totally devoid of animals, and this forest has become the most notorious woodland in Japan, steeped in legend and tales. Mount Fuji’s eruptions were far more frequent hundreds of years ago, so much so that the local people feared it. These people believed in the Great God, Asama, who had the power to keep Mount Fuji under control. Nearly 200,000 visitors attempt the climb to its summit each year during the climbing season, which is between July 1st – August 27th. The first ascent from a foreigner was by Sir Rutherford Alcock, the first British diplomat to live in Japan, in 1860. Climbing times can vary between four and over eight hours, depending on whether you just want to reach the top and experience the incredible views, or if you want to savour every stopping point and rest at the stations. 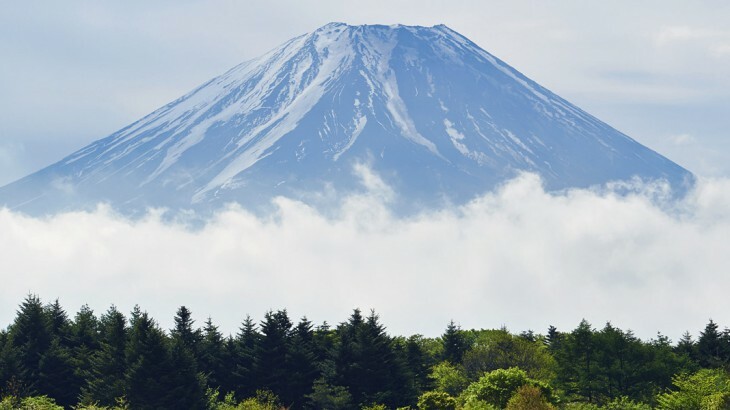 Tony Smyth has just finished his first book and is an expert on Tokyo and the surrounding areas, climbing Mount Fuji most recently last year when he was 67. You can walk at night in order to see the stunning sunrise, but this walk is often very busy, as hundreds of people work their way up the paths forming a snake like shape only illuminated by their headlamps. However, the quieter walk to get there for sunset is equally beautiful once you arrive and you do avoid the congestion. 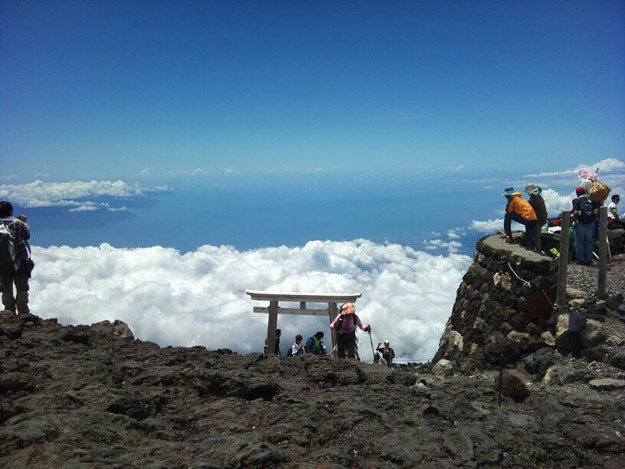 Don’t be put off by the title of Japan’s tallest mountain and volcano – Mt. Fuji has be climbed quite easily, even by beginners. Pilgrims used to climb the mountain starting from the town of Fuji-Yoshida, where they would pay their respects to the gods. Their climb was patient and relaxed, as they savoured every step along the 12-mile walk, stopping at each of the 10 station markers. Known as the Kamoshika, this strange animal is very rarely seen outside of Japan. 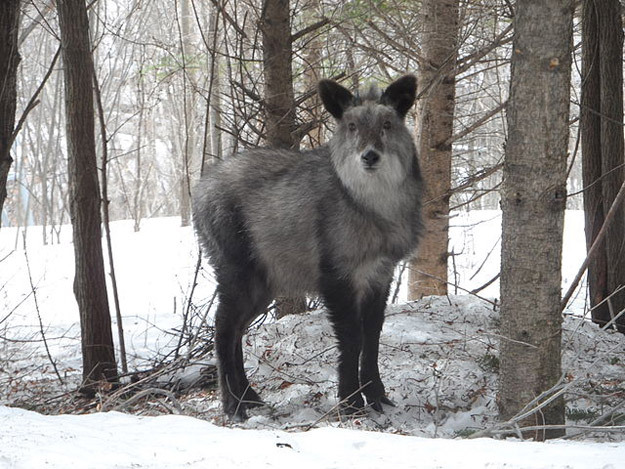 The Japanese Serow roams Japan’s mountains, from the northerly points of Honshu, to the eastern mountains of Kyushu. The Kamoshika has been a protected natural monument since 1934 and has been classified as a special natural monument since 1955. These creatures seek to avoid direct sunlight, and amble their way through the snow of Japan’s mountains foraging on buds, leaves and bamboo. The Asiatic black bear can be found as far west as Pakistan and Afghanistan, but a large cluster of the population exists in southern Japan. 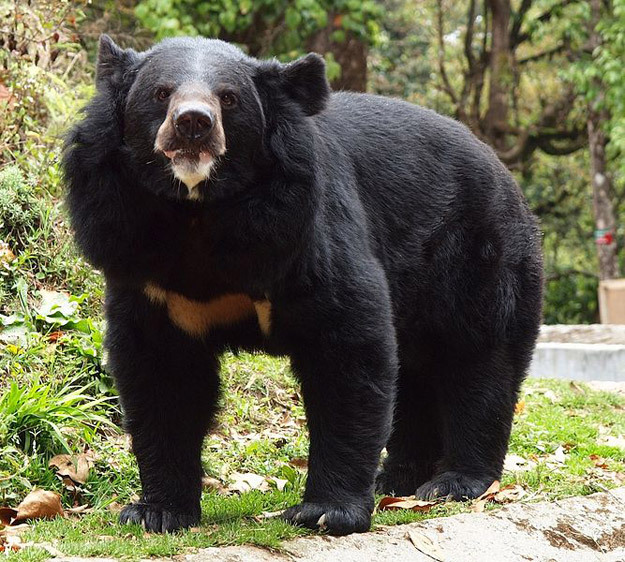 These bears are distinguished by the white ‘crescent moon’ on their chest amongst the black hair, rare brown bears can be found roaming the heavily wooded areas around the mountain and by the lakes. There are around 37 different species of animals recorded as living on or around Mt. Fuji for you to look out for if you are booking a Japan tour. Though the serow and black bears are considered the most significant and certainly the most impressive. 100 species of bird make the foothills of Mt. Fuji their home and breeding ground. According to studies, one fourth of all the birds that reside in Japan have been spotted in the area surrounding Fuji-san. Elsewhere, you can be treated to the site of tree frogs in the wooded areas, trout in the Kakita River and numerous insects, like many rare Rhopalocera including the Himeshirochou and Himeshijimi. Mount Fuji is actually made up of three separate volcanoes stacked one atop the other. First comes Komitake at the bottom, then Kofuji and Fuji on the top. It is a volcano, but it hasn’t erupted since December 1707, when it continued to do so until the first day of the New Year in 1708. An anonymous monk was the first person to climb the mountain, back in 663. 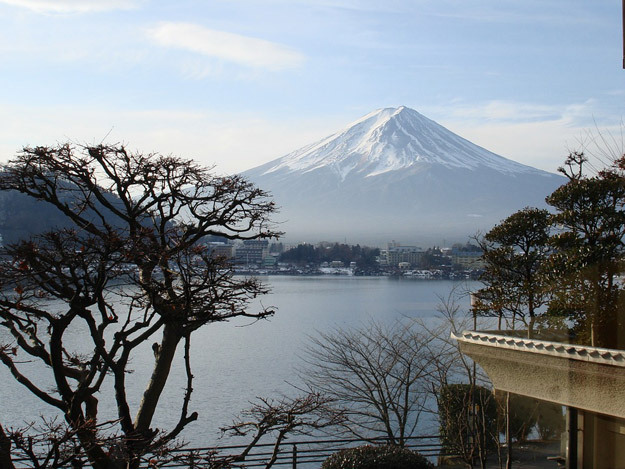 Unusually, Mount Fuji has a symmetrical shape, unlike many mountains and volcanoes. 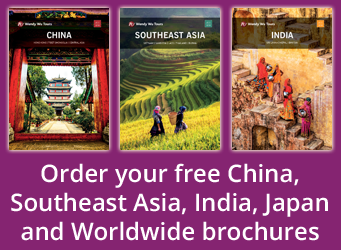 Book a tour of Japan where you can gaze upon the wonderful Mt Fuji for yourself with the UK’s leading Asia Experts, Wendy Wu Tours. Our fully inclusive, escorted tours in Japan visit all the major sights for an unforgettable holiday. Tony Smyth here. Actually I was 62 when I climbed it for the second time. I’m doing a school project on mt. Fuji and this sight was very helpful! Thank You!